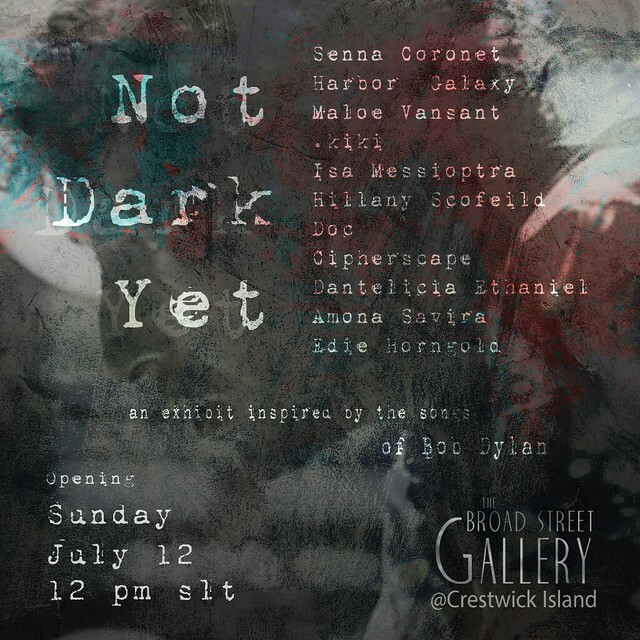 It’s not often I do ‘newsy’ blogs, but I’ve had a set of photos of Crestwick Island ready to upload for a couple of weeks now, and I noticed that there is a gallery opening today. So I thought it was a good opportunity to get my own shots up on Flickr and give the opening a bit of publicity at the same time. I know the work of some of the artists, but not all of them. Should be interesting. The exhibition is being hosted by the sim owners, Isa Messioptra and Cipher Wandin, in the gallery at the end of the main street. Crestwick Island itself is beautifully put together area. 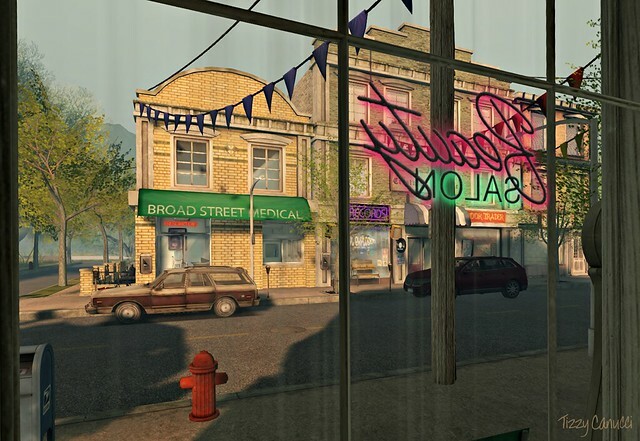 The main street has the familiar retro-charm of Second Life; somewhat nostalgic and peaceful with none of the clutter of modern real life. The sim description is: ‘a small working class town situated on an Island in the middle of a beautiful bay. The streets are lined faux businesses and shops as well as parks, marsh land and other surprises including a giant hill that supports an observatory.’ The Chapel is one of those surprises.